Leeds United could be forced to reassess their options after hitting a stumbling block in their pursuit of Newcastle United goalkeeper Karl Darlow. The Peacocks have made signing a new stopper their top priority in January after losing former loanee Jamal Blackman to injury, which saw him return to Chelsea prematurely and left Bailey Peacock-Farrell as the only senior option available to Marcelo Bielsa. 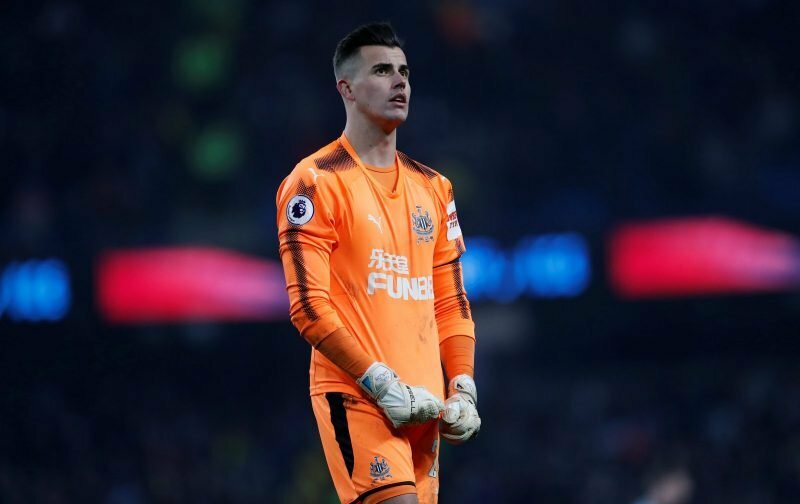 According to The Yorkshire Evening Post, Leeds have already made an approach to sign Darlow on loan until the end of the season but have encountered problems as Newcastle are seeking a permanent deal worth £4m. Rafael Benitez’s side are stuck in another relegation dogfight and continue to see owner Mike Ashley deny funds for transfers, which means that selling Darlow would raise a valuable amount that Benitez could then reinvest into his own squad. However, Leeds are reluctant to meet the asking price for the 28-year-old and could look for alternative options in the market.